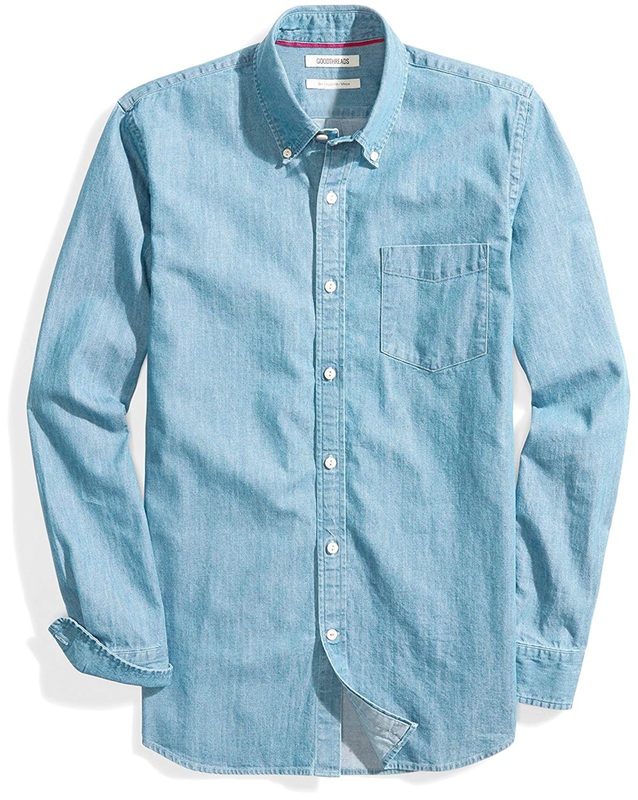 Amazon Goodthreads Men's Denim Shirt - Affordable Wardrobe Staples | Valet. Amazon has been making more of a push with fashion lately. Case in point: Their in-house menswear brand, Goodthreads, which did so well during Prime Days that its shirts became the best-selling shirts on the whole website. We can see why. Just take this denim shirt, available in three washes, with it's modern fit and classic details (button-down collar and point-patch chest pocket). Plus, it's only thirty bucks.